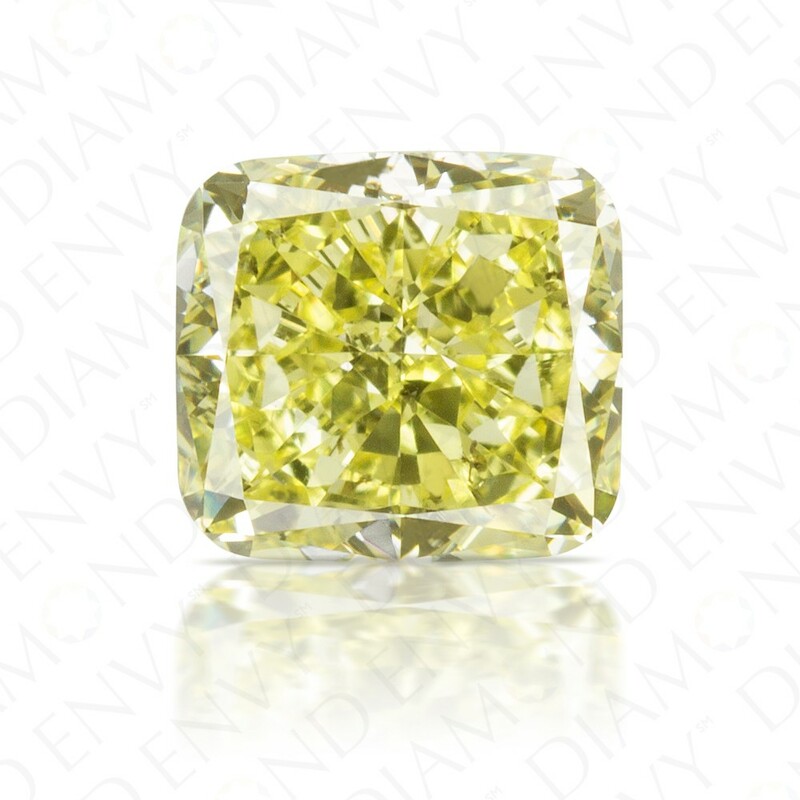 This incredibly sparkly 1.55 carat cushion cut Natural Fancy Yellow diamond provides a pop of bright yellow color. The large open face of this pillow-shaped diamond permits a glance at its superb faceting and brilliance. It would make an enchanting center stone in a ring or pendant. GIA-certified.